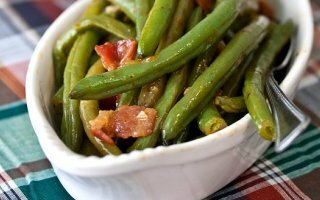 As this year draws to a close and we look forward to ringing in the New Year, I thought it was only pertinent to share the most popular recipes here on the site in 2012. They’re some of my all-time favorites too, and I’m excited to be able to share them with you guys again! 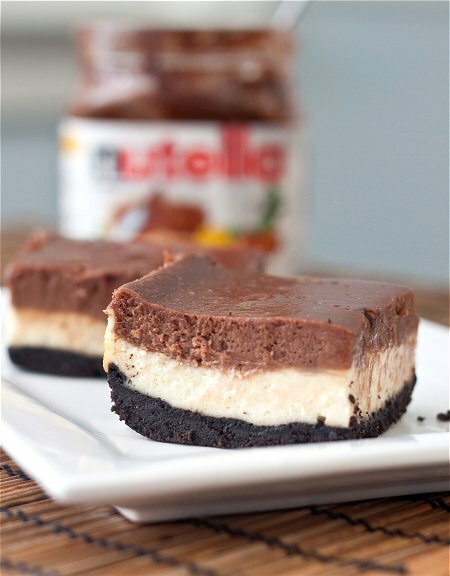 Nutella Cheesecake Bars – these are one of the most delicious and indulgent things I’ve encountered in my lifetime. 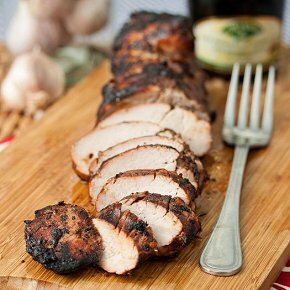 Totally craveable and worthy of the coveted #1 position. Make them. Like, now. 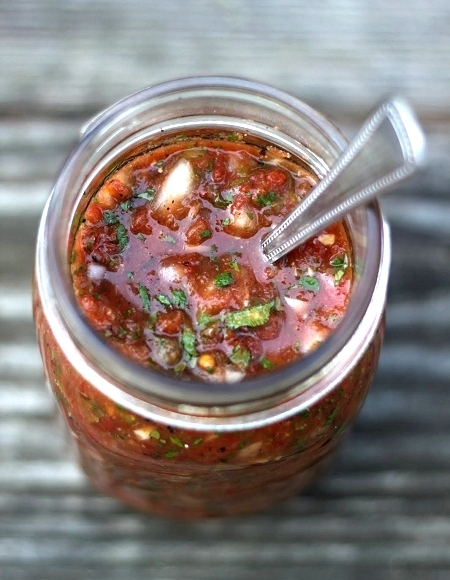 Rustic Roasted Tomato Salsa – a good homemade salsa that can be kept in the fridge for a moments notice is indispensable. 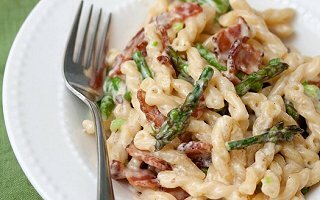 This is my go-to recipe. 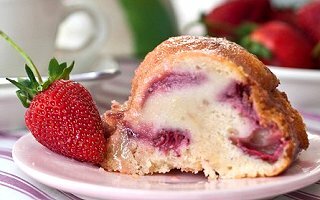 Strawberry Yogurt Cake – this cake was so easy to put together, so delicious, and so versatile. Would be great with any berry you’d care to add I think, and it’s just so gorgeous to look at. 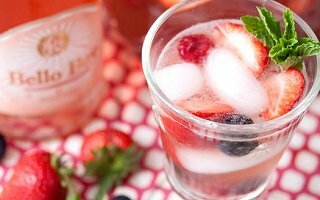 This strawberry version would have to be my favorite though, just because it brings a smile to my face thinking of picking those little ruby gems with my boys this summer! 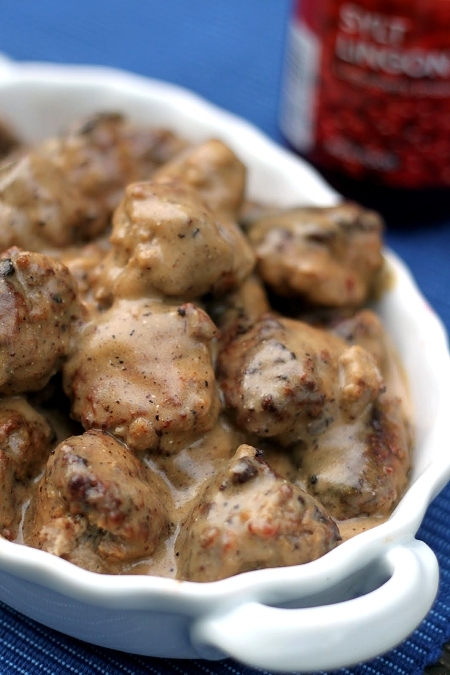 Swedish Meatballs – pretty much my favorite appetizer/party food of all time. And, they kick the pants off the ones from IKEA. I’ll take the Pepsi challenge anyday. 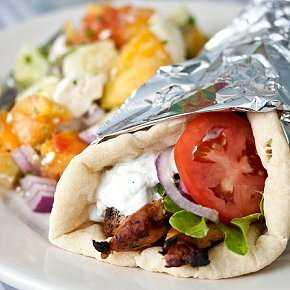 Chicken Gyros – easily one of my favorite dinners. 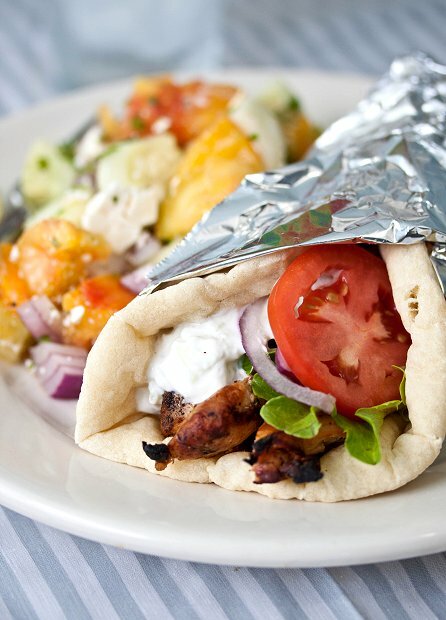 My husband grew up working in a Greek restaurant, so gyros hold a special place in his heart. 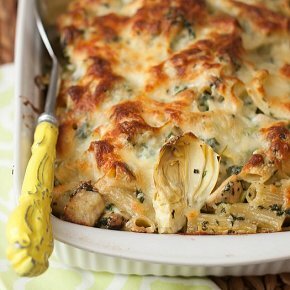 We often have this for dinner once a week in the warmer months, and we never tire of it. Oreo Cupcakes with Oreo Buttercream – I’m so glad that this was your favorite cupcake here on the blog, because it’s mine too. 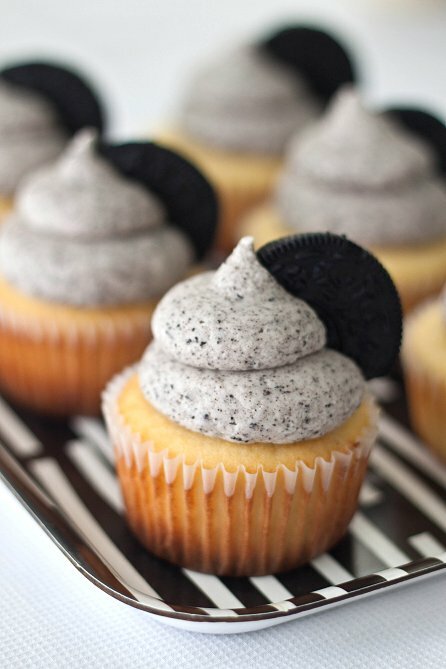 The Oreo on the bottom of the cupcake is such a delightful surprise, and the Oreo buttercream frosting just plain rocks. 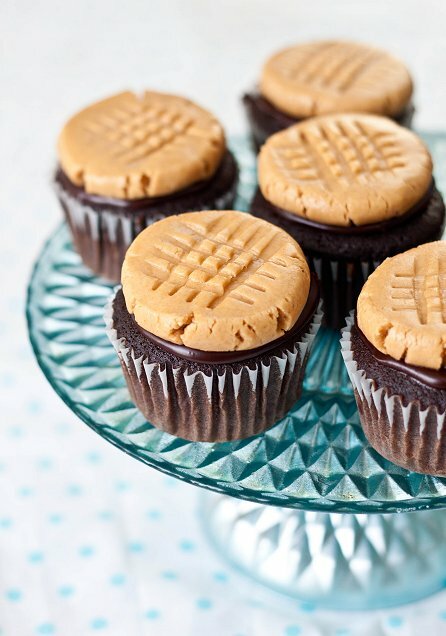 Peanut Butter Cookie Cupcakes – these are some of the cutest cupcakes I’ve ever laid my eyes on. 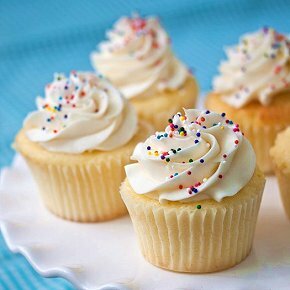 And, surprisingly – some of the easiest cupcakes to decorate. I entered them in the cupcake category in my local fair, and they won first place! A winner, for sure. 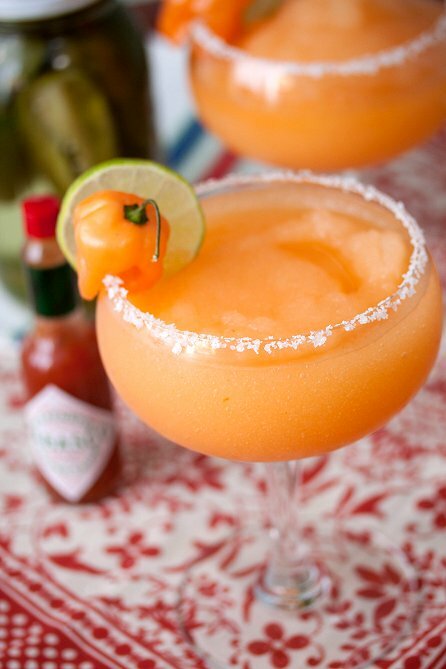 Cajun Margaritas – I knew there were other Truebie foodies out there! When these drinks were mentioned on the show True Blood, I couldn’t help recreating them at home. And, I’m so glad I did. You guys loved them as much as I did! 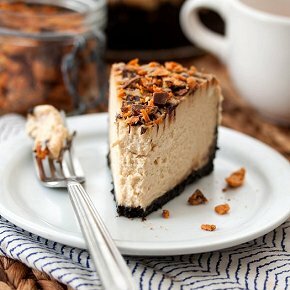 Triple Chocolate Mousse Cake – as the name implies, this is everything you could possibly hope for in a dessert. 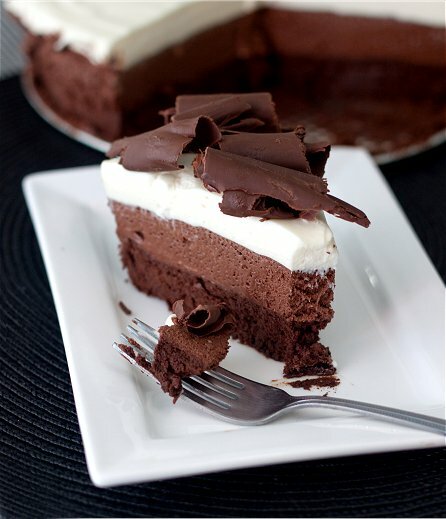 A cake made of chocolate mousse? I mean, come on. 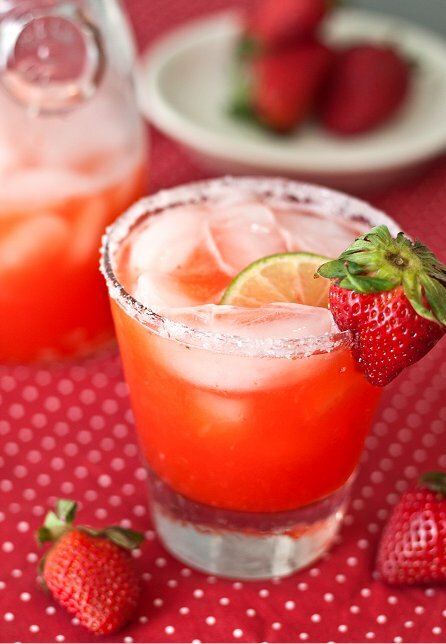 Strawberry Margaritas – these are sooo bad. And by bad, I mean good. Homemade marg mix, tequila, and plenty of pureed fresh strawberries make for one delicious batch of cocktails. 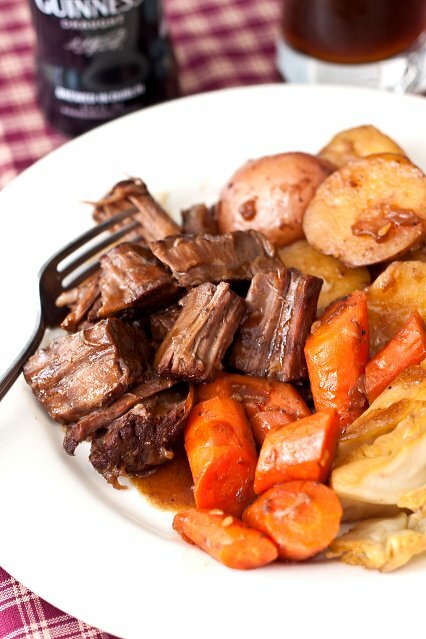 Pot Roast with Stout Gravy – The winter months certainly aren’t my favorite time of year, but one of the few things that make it palpable is this delicious pot roast with stout gravy. 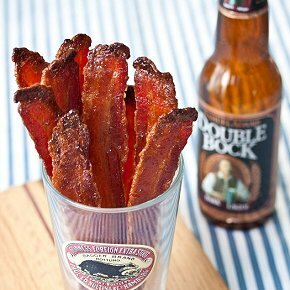 With a homebrewing husband, I’m always on the lookout for recipes that include beer. This will always be a favorite for us! 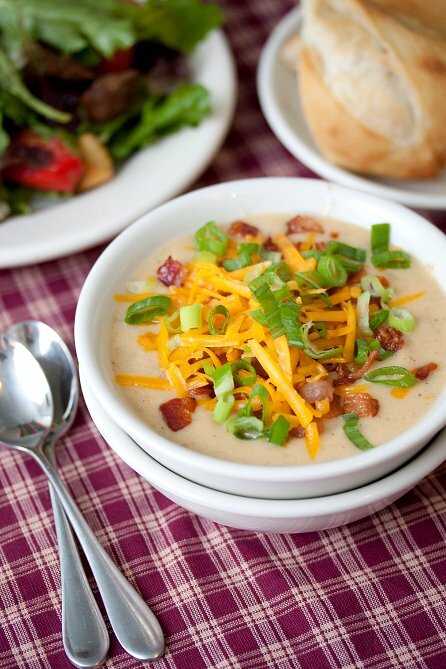 Loaded Baked Potato Soup – this recipe completely blew us away. 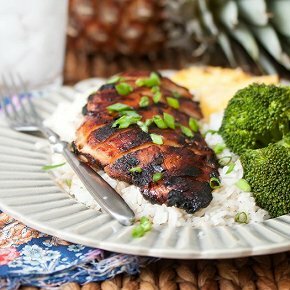 It comes together easily and relatively quickly, and after just a few hours in the slow cooker you have a delicious and satisfying meal on the table that pretty much cooked itself. 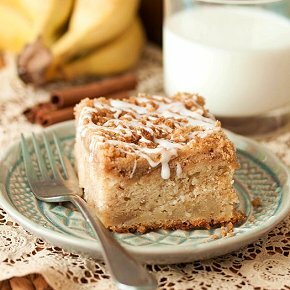 This is one you’ll make again and again! A big thank you to the readers for making 2012 the best year for Tide & Thyme so far. Here’s to an even better 2013! Hi Laura! What a fabulous 2012 you had. Wow. 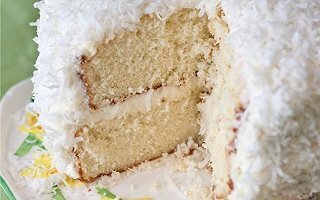 I am drooling over those peanut butter cookie cupcakes and cajun margaritas!!! I adore margaritas and recently had a sweet/spicy one. Yours looks and sounds incredible. 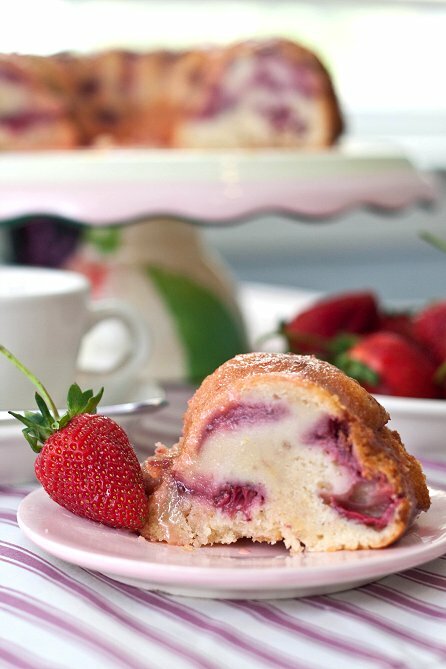 That strawberry yogurt cake is also calling my name. SO many winners here, congrats on a wonderful year! !